I hope you'll like this party as much as I do! 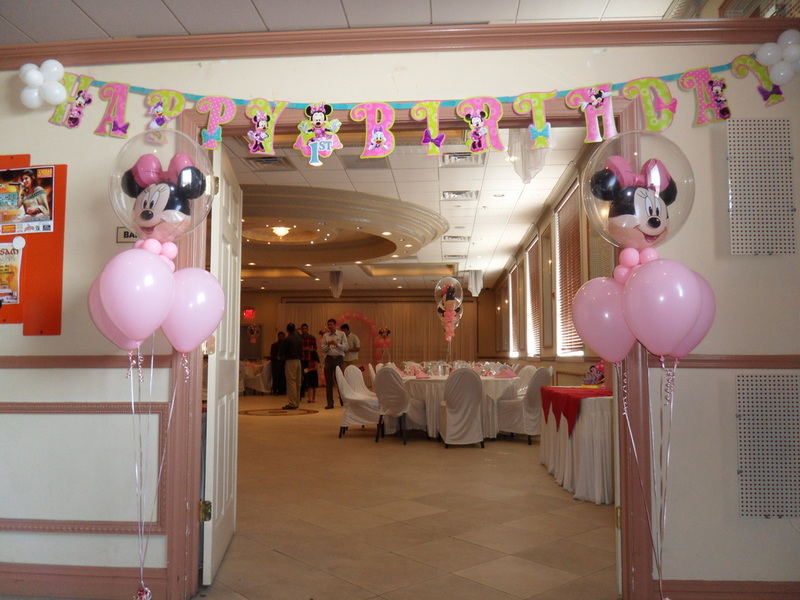 For the banquet hall entrance, I created two floor balloon decorations using latex and Minnie Mouse double bubble balloons. These balloons can last up to three weeks. They are very beautiful balloons made of plastic. Please notice the jointed Minnie Banner. 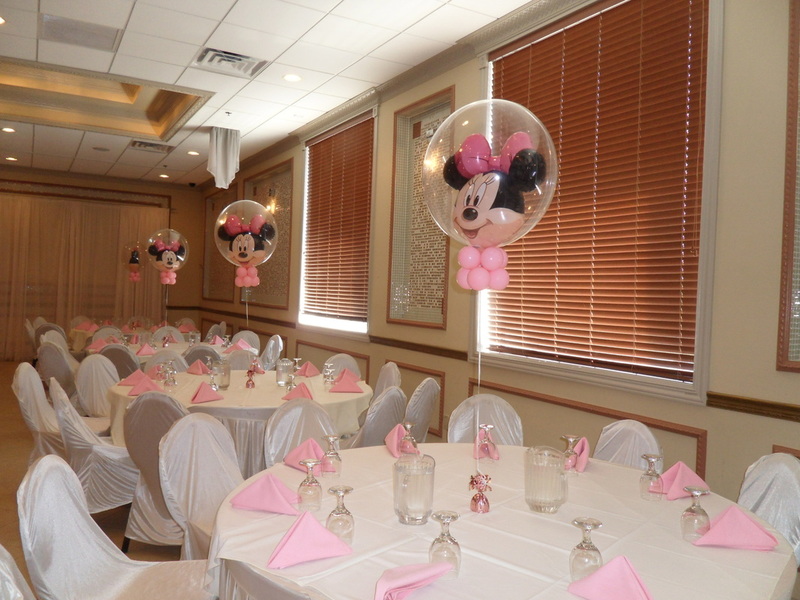 Each guest table had a Minnie Mouse double bubble balloon with a small balloon collar. Gorgeous! 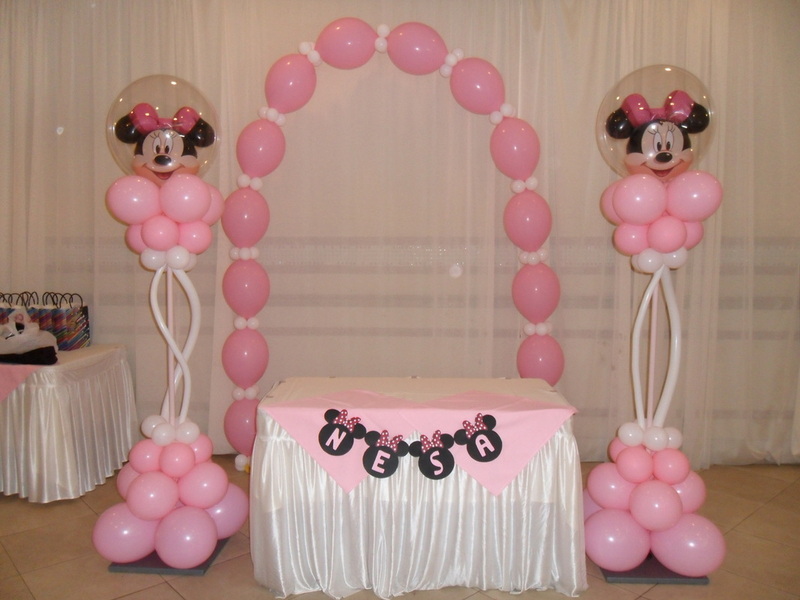 For the cake table, I created two balloon columns with a Minnie double bubble topper. Behind the cake table, I created a pink link-o-loon arch. For the front of the cake table, I made a Minnie banner.